Spot Assessment for *“Aircarft Maintenance Enginneer “* on *13th March at 11.30 am * Eligibility: Automobile engineer Electronic & communication Eng Automotive eng Mechanical eng Instrumentation Eng accepted ..
Get Spot Assessment on Eligibility ! Directly Meet University Representative ! call @ 8096545678. 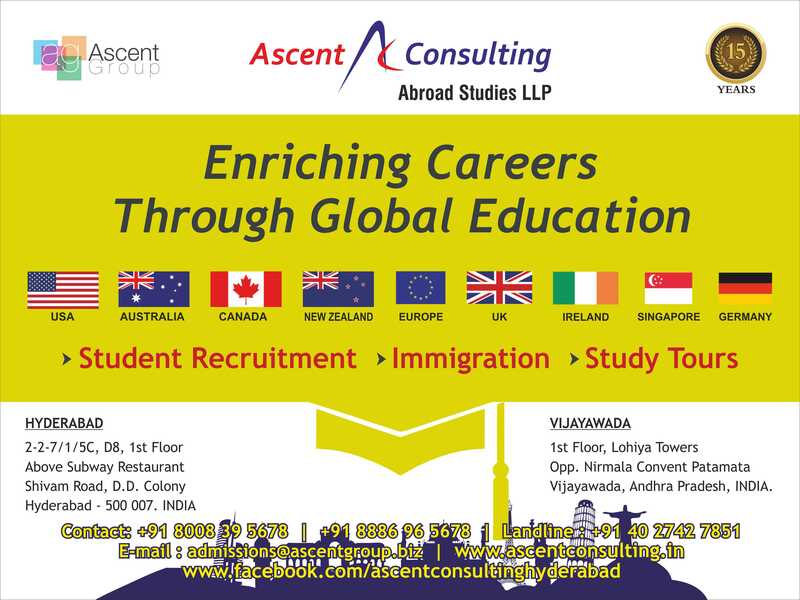 Upto 5000$ scholarship - MBA in Global Business Spot assessment on 6th Sep between 5pm to 6 pm @ Taj Deccan !